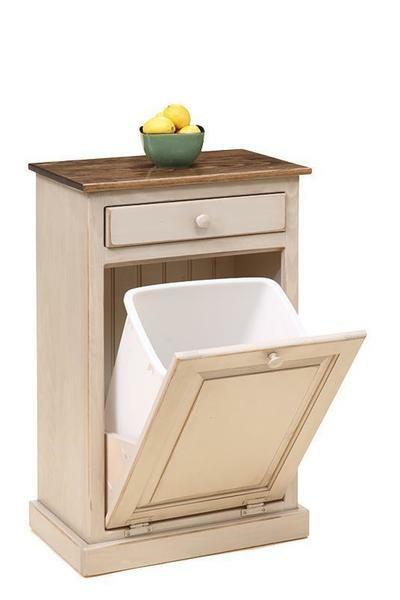 Tired of an open laundry hamper and how it looks when it's overflowing? The Amish Pine Wood Laundry Hamper Bin Cabinet offers an attractive option for dirty laundry. 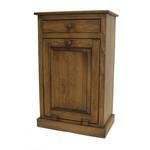 Made of solid pine wood, this bin has a tilt-out door that is light and easy to use. It also offers one drawer for storage. Inside the hamper is an eight gallon laundry bin. Our tilt out cabinets are very popular here at DutchCrafters. They can be used for recycling or trash too. 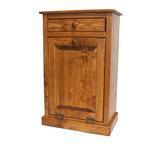 This pine bin is part of the Heritage Pine Collection that is Amish made in Pennsylvania and ships for free. 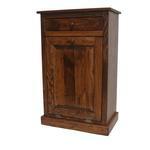 Please email or call us today with any questions about our pine furniture. Thanks for shopping DutchCrafters.